Lovely, modern, family friendly apartment in the coastal west Wales town of Llanelli (central for day trips to both Pembrokeshire and the Gower/Swansea!). 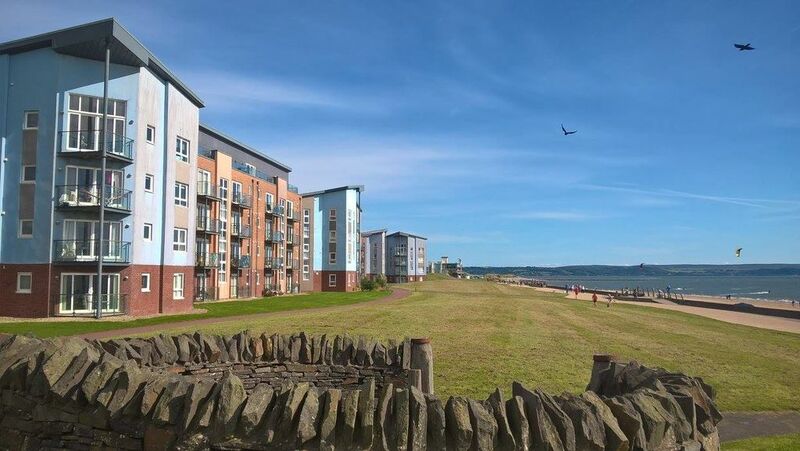 Situated directly on the beautiful Llanelli Millennium coastal park, the apartment is 30 seconds walk to the beach and to the millennium coastal path. - Fully equipped modern kitchen including dishwasher. - Stylish living area with patio doors on to a secluded, sunny balcony. - One double bedroom with double bed. - One twin room with two single beds. - One bathroom with shower/bath (towels provided). - Television and free Wifi. - Millennium Coastal Park (30 seconds). - Llanelli with its traditional market and shopping centre (within walking distance). - Llanelli Wetland Centre (3.1 miles). - Ffos Las Racecourse (6 miles) - Pembrey Country Park (6.9 miles). - Pembrey Motorsport Circuit (8.1 miles). - Kidwelly Castle (9.6 miles). A warm friendly greeting by Chris was followed by a neat, comfortable and pleasant stay. The apartment was of good size and the bed was comfortable as well. Right on the sea and close to Swansea and Cardiff. Beautiful clean apartment, close to ameneties, beach on the doorstep. Host available if needed. Would defiantly recommend.